My name is Achintya RAI. I paid a visit to Sammy Kanja Nganga in Rongai area of Nakuru (Kenya) on the 28th of March 2012. 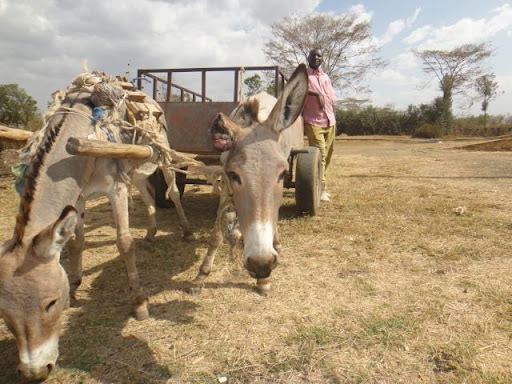 Sammy has donkeys and donkey carts which people rent from him to transport water and material. Sammy is repaying his second Zidisha loan right now. He used the first loan to buy new tyres for his cart and to repair it. With the second loan he bought another cart and donkeys. Now he has six donkeys and two carts. The names of the donkeys are- Toto, Jimmy, Tony, Kilo, John and Sammy. Kilo, John and Sammy are the new ones he bought with his second Zidisha loan. When I asked him if Sammy the donkey’s name was spelled the same as his, he said “like me” and added, “I do love it” as explanation. Sammy has four children (whose names I didn’t ask). Sammy has a small shamba (farm) as well. His wife looks after it while he takes care of the donkey-cart business. He also now employs two persons to assist him in his business. He said that his life had improved because of Zidisha loans. This is something I have noticed in many cases. Second Zidisha loan onwards you start seeing a very noticeable and perhaps measurable difference in most people’s incomes, spending and lifestyles. Sammy’s wife has studied till form-4 (secondary school) while Sammy himself has just finished primary school (Standard-8). 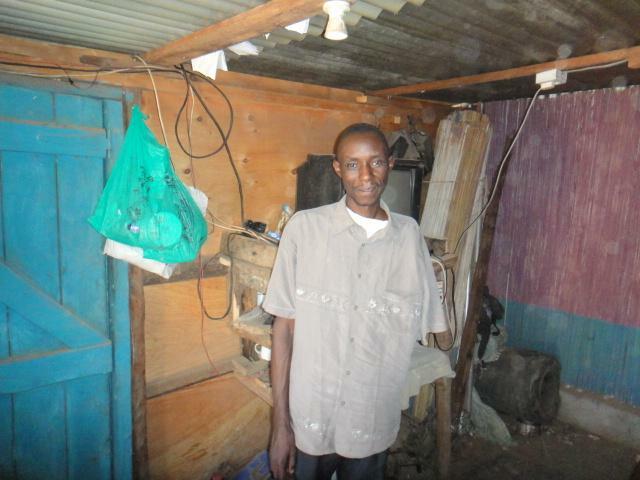 With his enhanced income, Sammy now aspires to educate himself. He told me that he first wants to finish his form-4 and then go on to do a course in accounting so that he could take better care of finances for his business and possibly get a job in the field. I met Sammy near the Railway Station of Rongai where he grazes his donkeys and parks his carts. I noticed that there were only three donkeys around. When I asked him he told me that the others must have got free and gone home. Apparently, whenever Sammy’s donkeys get free they go home. They reminded me of Homing Pigeons, only cuter. While Sammy’s Sammy was finding his way back on his own, I had to take a ride on Sammy’s bike to find mine. I wish Sammy and his family the best for their future. Andrew Chege is a Zidisha borrower from Kiptangwanyi, Kenya. Andrew supports his family by running a computer services business. He is able to provide his clients with photocopying, typesetting, printing, lamination, and scanning services. While business is good, Andrew’s area is still plagued by energy rationing (even though the electricity is expensive!). Andrew originally wanted to purchase a new camera and printer with his Zidisha loan. The additional equipment, he hoped, would allow him to keep up with the increasing demand for his services. Yesterday I visited the business premises of Andrew Chege Mbugua. Meet Peter Kamwaro from Kiptangwanyi, Kenya. 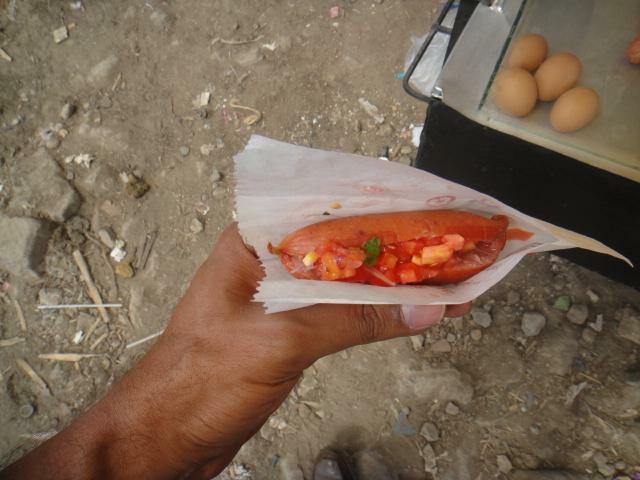 Peter supports his family of three children by buying and selling cereals such as corn, beans, wheat, and rice. 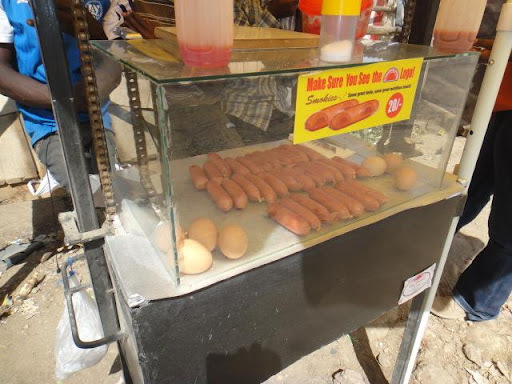 Because Mr. Kamwaro’s goods are in high demand, they usually sell quickly. However, shoppers especially prefer his cereals because of their freshness and quality. Yesterday I visited Peter Kamwaro at his business premises in Kiptangwanyi. Peter runs a “Video Room” which he opens everyday, including the weekends. 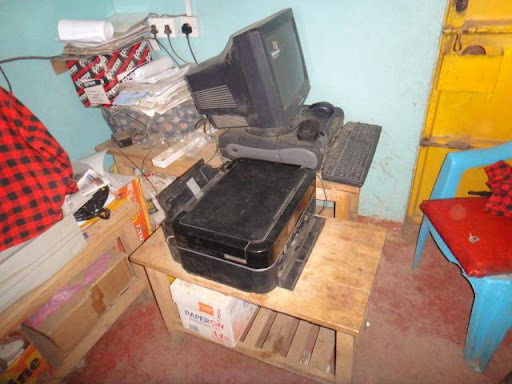 He has a beautiful business model- he buys CDs (for 50 shillings each) and DVDs (for 100 shillings each) from Nakuru (the town nearby) and shows them in his video room where he charges 10 shillings per head. He shows 5 (different) movies each day, and more on weekends. 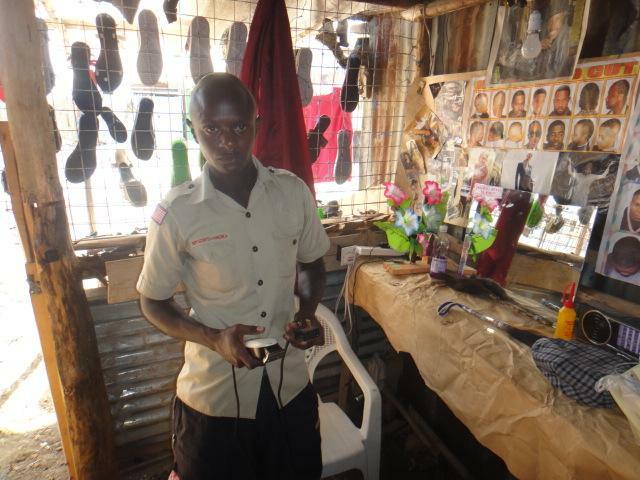 And once he has used a CD, he sells it for 60 shillings and he sells his used DVDs for 150 shillings each. So, he makes money from his video room (on week days he get 30-40 viewers per day), and he also makes a small profit out of the CDs/DVDs he purchases. That’s like buying sugarcane and taking out the juice to make sugar to sell, while also selling the remaining husk at price higher than that of sugarcane. 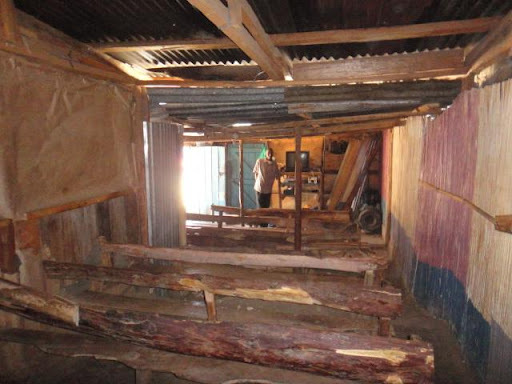 Peter used his first Zidisha loan of 40,000 shillings to buy this plot with a video room where he runs his business. Earlier he used to rent the premises where he ran his business. 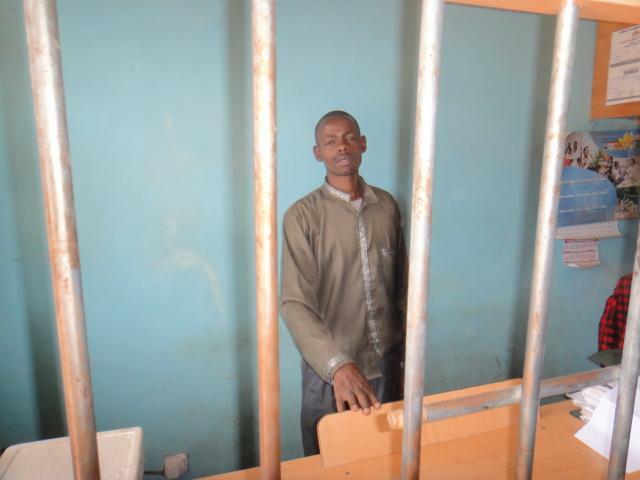 He paid a rent of 5000 shillings a month, and his installment for the Zidisha loan is around 4300 shillings. Understandably, he is very happy with Zidisha. Peter has 3 children, 2 of whom are in school. His wife runs a small boutique from the premises.